Each year over 2 million visitors to New Mexico's Sandia Mountains enjoy more than 100 miles of trails, hiking, climbing, running, biking, skiing, and birding, as well as viewing the mountains from hang gliders and hot air balloons. This guide will assist visitors in discovering the diverse natural features of the Sandias. 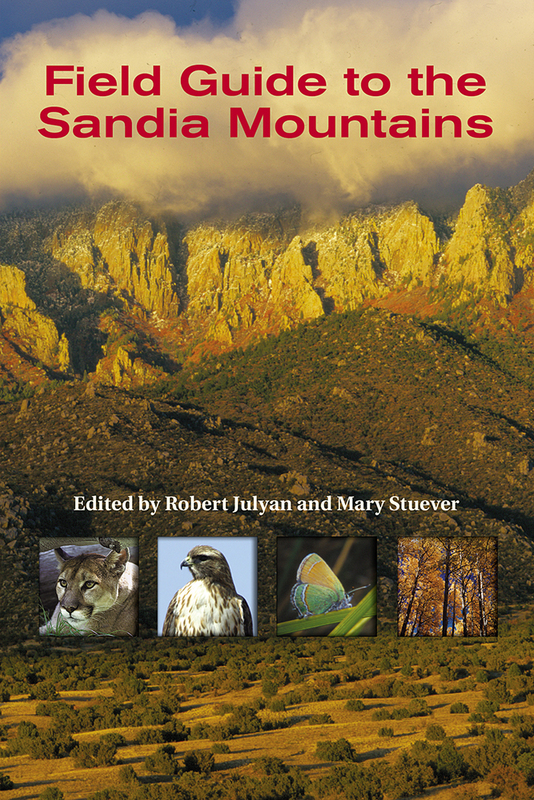 Field Guide to the Sandia Mountains includes sections on ecology, including weather and fire, geology, flora (grasses, flowers, trees) and fauna (arthropods, reptiles and amphibians, birds, mammals), and recreational opportunities. Plant keys and fauna checklists add to the book's features. A labor of love conceived by the Sandia Ranger District and the New Mexico Friends of the Forest (now known as Friends of the Sandia Mountains), this book is a resource no visitor to the Sandias should be without.